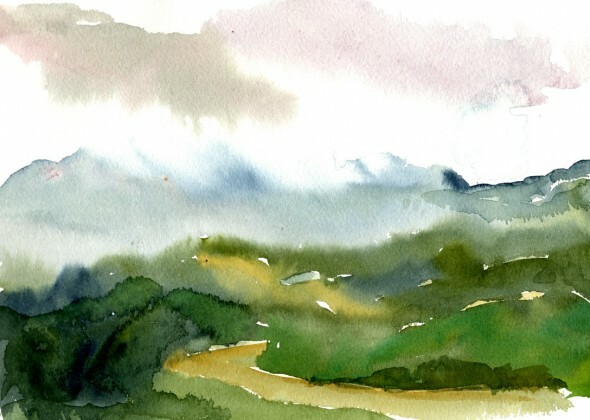 Showers at Fremont Older (Saratoga, CA), watercolor study by former Artscapes framer Sylvia Waddell. © Sylvia Waddell. Located at the borders of Los Gatos, Saratoga, and San Jose, close to Route 85, off Winchester Boulevard exit. Situated in an office park near Los Gatos Creek Park, diagonally opposite US post office. Go to rear area of office row. Free parking. ›› Hours: By appointment. Call or email us to arrange a no-obligation consultation. ›› Forms of payment accepted: Cash, check, and Visa/MasterCard. ›› We can arrange on-site consultations throughout the Bay Area. 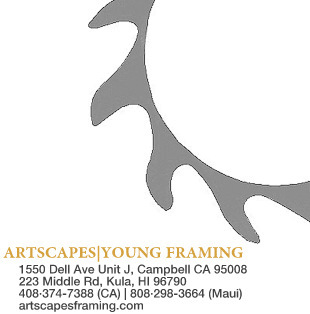 View from framing studio of Artscapes Maui. © Artscapes|Young Framing. 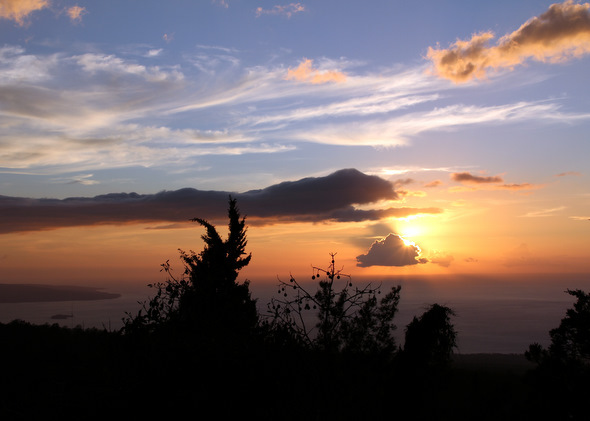 ›› Hours: Onsite consultations, Maui time (i.e., flexible), in your home or office. By appointment. ›› Pick up and delivery is complimentary for most locations on the island.